New Patio Homes In The Terrace of Twelve Oaks In Mt Washington. Less Than A Mile From Bardstown Rd & 8 Miles To The Gene Snyder. 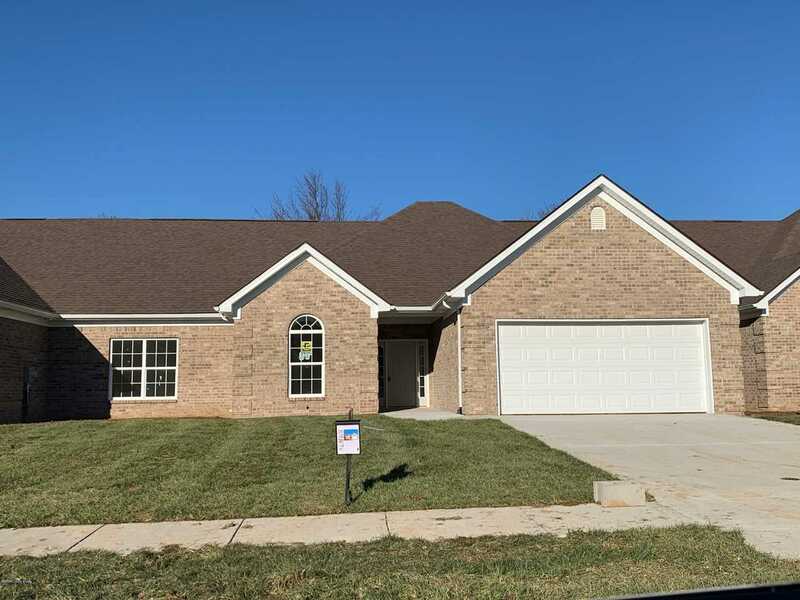 All Brick, One Story Homes With 2 Car Attached Garage, Almost 1800 Sq Ft, 3 Bedrooms & 2 Full Baths. Vaulted Great Room Opens Into The Kitchen & Dining Area. Kitchen Has Stylish Cabinetry & Granite Counter-Tops. Wood Laminate Flooring Throughout...No Carpet! Master Bedroom Has Tall, Trey Ceilings, Walk-In Closet & Spacious Bathroom. Vaulted Ceiling In The Front Bedroom Too. Private Back Patio. HOA is $115/Month Which Covers The Exterior Maintenance And $225/Year. This Home Will Be Ready At The First Of The Year Weather Permitting. More Units Under Construction. Directions:Gene Snyder to Bardstown Rd Exit, South on Bardstown Rd 7 miles, Left at the Main Intersection onto Hwy 44E, Pass Hometown Pizza and take the First Right onto Hardy Lane, First Left on Terrace Dr, House is down on the left. SchoolsClick map icons below to view information for schools near 252 Terrace Dr Mt Washington, KY 40047.